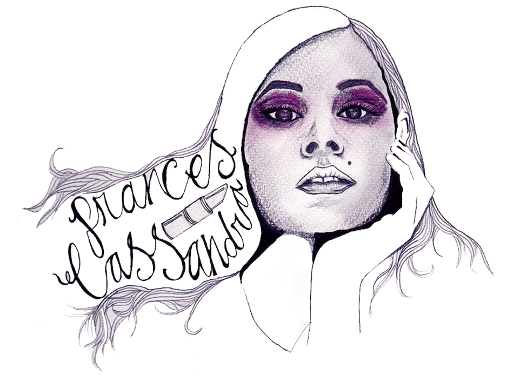 - FrancesCassandra: UK fashion, beauty and lifestyle blog. 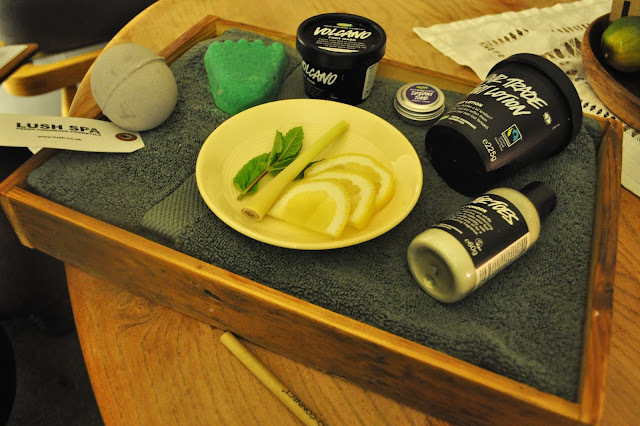 : Review: Lush Spa Treatment- The Spell (Lush Spa Liverpool). Review: Lush Spa Treatment- The Spell (Lush Spa Liverpool). A few weeks ago the lovely Melissa from Lush Spa Liverpool got in touch with me and invited me along to try out one of their spa treatments; The Spell*. 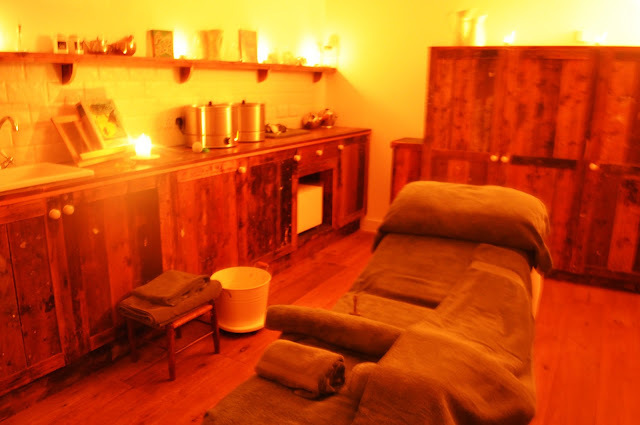 I have always been a sceptic to the concept of reflexology on the feet, but I'm not one to turn down an hour or so of relaxation, plus I adore the Lush Spa in Liverpool (it is huge and the staff are always so friendly! ), so I graciously accepted the offer and was booked in for the following week. Upon arrival I was greeted at the front of the store by a welcoming staff member who offered me a cup of tea, a hand massage and a seat whilst she went and let my therapist know I was there. 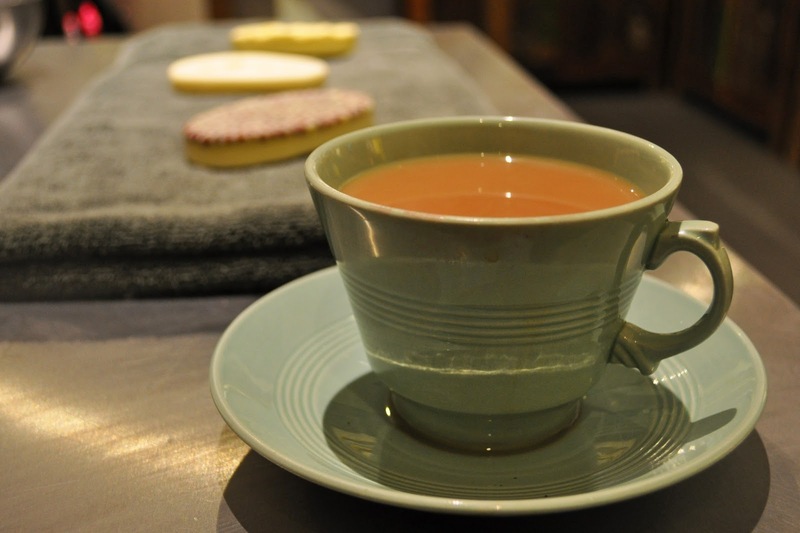 I spent fifteen minutes or so browsing around the store with my cuppa before the lovely therapist Louise came and met me and took me up to the spa area for my treatment. 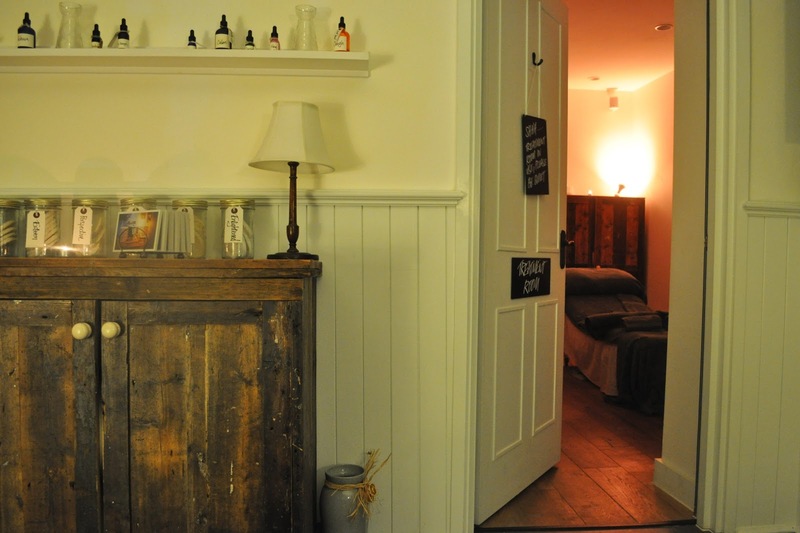 I have already written a first impressions review of the spa from when I got to opportunity to preview it before it opened, so feel free to read it here and see more pictures- It is decorated to resemble a quaint English countryside and it really does feel like you have stepped in to a Wonderland. The sounds of nature and birds tweeting can be heard and your relaxing experience starts right here. Louise sat me down to tell me a little more about the treatment she was going to be giving me. 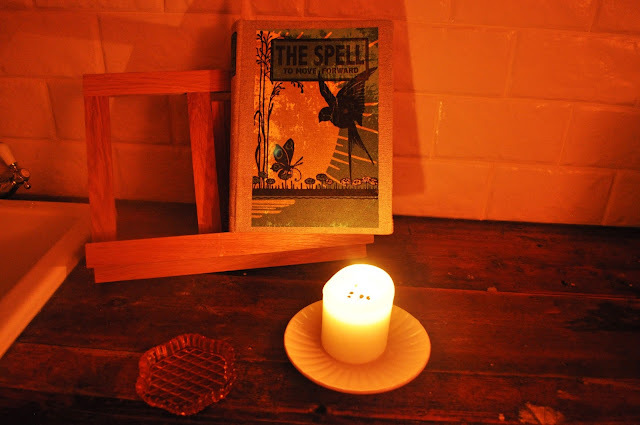 The Spell was put together with the idea of clearing your mind and getting rid of any troubles and worries you may have, which was right up my street as I am a born worrier and I always struggle with bouts of anxiety. She talked me through all the products that she was going to use and let me have a smell of them all; one of the main products in this treatment is Volcano, which is a cleansing, exfoliating and cooling clay mask for your feet. After filling out a consultation form, Louise handed me a piece of paper and asked me to write one of my worries down on it. 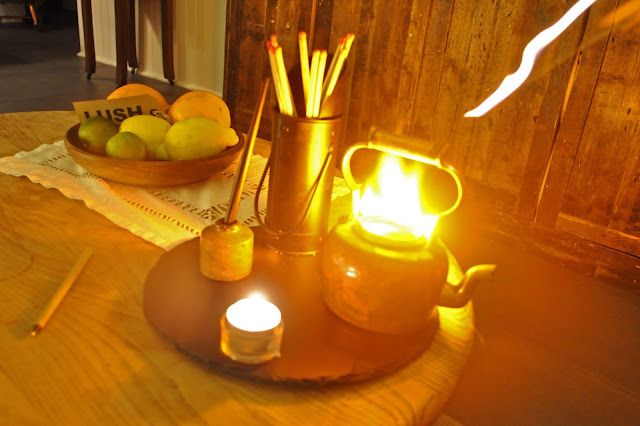 I folded it up and placed it in a little brass teapot where it was then set on fire with the idea of abolishing my worry and sending it up in smoke! I was then taken in to the dimly candle-lit treatment room and left alone for five minutes to make myself comfortable. There was a little bell placed on the bed for me to ring when I was ready for Louise to come back in and begin the treatment, which started off with a foot bath containing the Waving Not Drowning Bath Bomb. After this I was allowed to lay down, close my eyes and let my mind wander off to another place for a good 30-40 minutes, with the enchanting sounds of The Spell soundtrack by Simon Emmerson filling the room whilst Louise used hot stones, a foot and scalp massage and reflexology with a variety of different products to relax me and sooth my mind. Needless to say, I felt very drowsy when the treatment finished, but definitely very relaxed (with very soft, smooth and pretty-smelling feet). 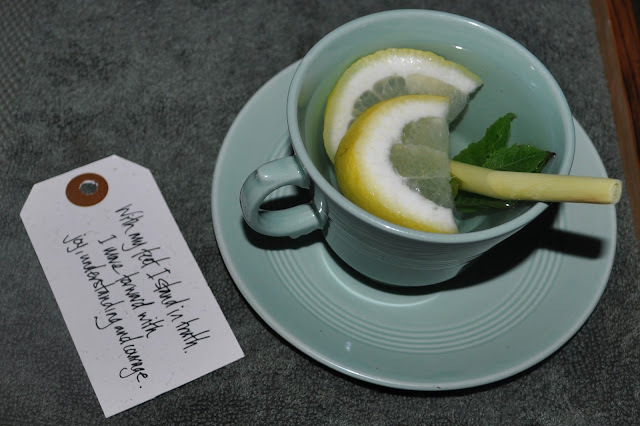 There was no rush for me to get up and leave, either- Louise brought me a hot cup of water containing lemon, lemon grass and ginger to sip on whilst I pulled myself back to reality. She also gave me a cute little tag that read the words "With my feet I stand in truth. 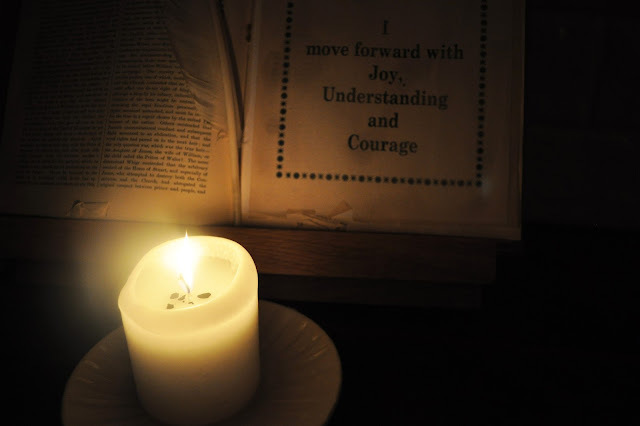 I move forward with joy, understanding and courage", to keep in my purse for times when I need a little pick-me-up. 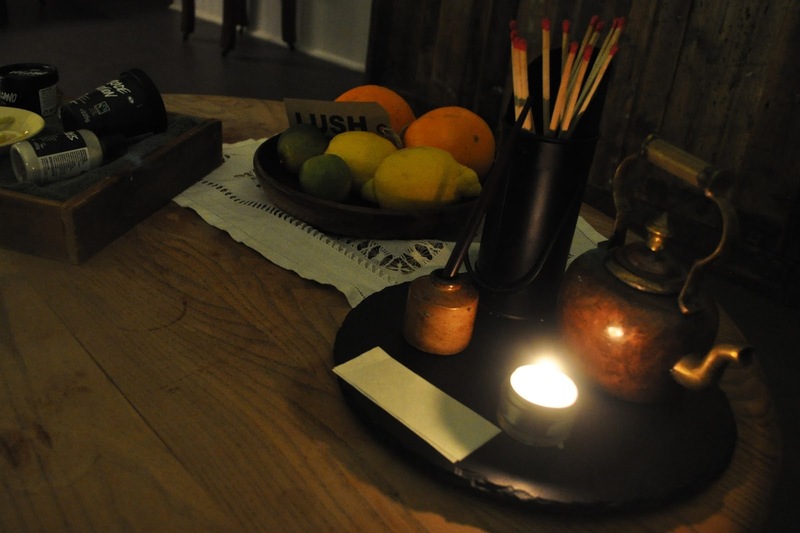 Have you ever tried out a Lush Spa treatment? *DISCLOSURE: This was a PR opportunity. My opinions are still 100% honest and my own. Oh my goodness this sounds so unbelievably relaxing, how fabulous! This sounds amazing. If there was one near me I would be awfully tempted. This sounds astonishing. If there was one beside me I would be dreadfully tempted. 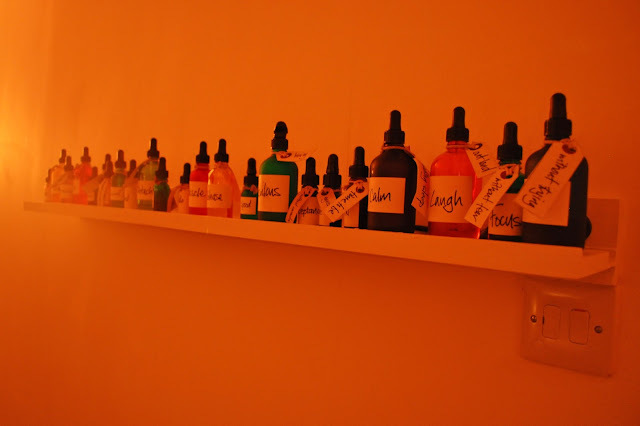 I was looking for articles on spa in Dubai and I came across yours inspiring read. Though you topic was not exactly based on spa but it definitely highlighted some the spa treatment. Outfit: My new favourite outfit! Review: Studded Bum Bag by Zoe Victoria. Event: Swimwear 365 S/S Collections.